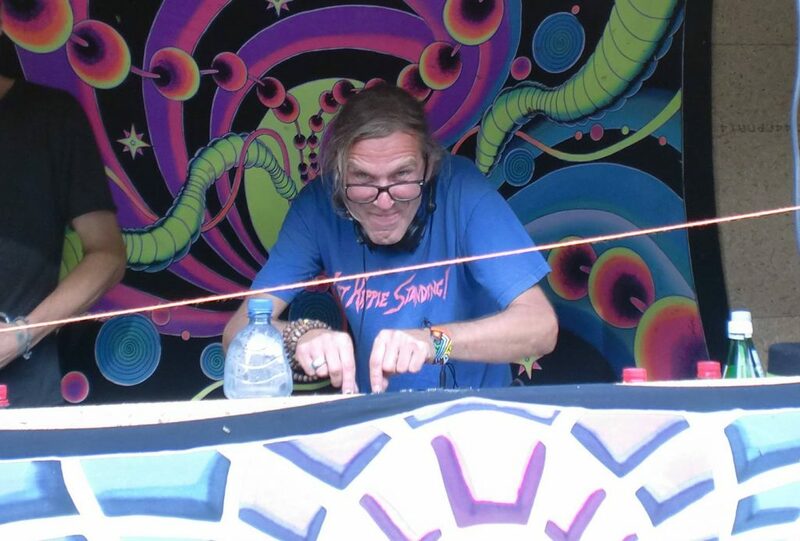 Cosmic Cowboy is Saarland's (an area in the southwest of Germany) veteran of psytrance, born exactly 20 years after A. Hofmanns first psychedelic experience and grown up with the Sgt. Pepper-Album by the Beatles. Since his youth he is passionate about psychedelic music of the American West Coast, especially the Grateful Dead. (Of course he is still a Deadhead.) This is proven by his enormous music collection which he started in his teens. In 1996 he was infected by the GOA-Virus and gained first experiences behind the turn tables of the legendary nightclub U.N.T.N. in Saarbruecken and numerous Nada-Brahma-Parties in Mainz and surroundings. Hundreds of gigs followed, within Germany and around europe. The call of black gold (nowadays silver), brought him to Bulgaria (Tangra_Festival 2011, 2012, 2013), Turkey (Tree of life, Psy-files, Pakawala Festival, Shanti Mind...), Austria, Amsterdam (Solstice Festival, 2006 & 2012), Shefield, UK, Istanbul, Brussels... On the dance floor or in the chillout, Cosmic Cowboy acts always on his maxime: KEEP IT PSYCHEDELIC! Geboren exakt 20 Jahre nach A. Hofmanns erster psychedelischen Erfahrung und frühmusikalisch sozialisiert vom Sgt. Pepper-Album der Beatles, ist Cosmic Cowboy das Urgestein des Psytrance im Saarland. Seit seiner Jugend ist er leidenschaftlicher Liebhaber und Sammler psychedelischer Musik der amerikanischen Westküste, insbesondere die der Grateful Dead. Im Jahre 1996 wurde er vom GOA-Virus infiziert und sammelte im darauf folgenden Jahr erste Erfahrungen hinter den Plattentellern im legendären U.N.T.N. in Saarbrücken und auf etlichen Nada-Brahma-Parties in Mainz und Umgebung. Es folgten hunderte Gigs im In- und Ausland. Der Lockruf des schwarzen Goldes (heute eher silbern) führte ihn unter anderem nach Bulgarien (Tangra-Festival 2011, 12, 13), die Türkei (Tree of life, Psy-files, Pakawala-Festival…), Amsterdam (Solstice Festival, 2006 & 2012), Sheffield, UK., Brüssel, Istanbul … Ob auf dem Dancefloor oder im Chillout, stets folgt Cosmic Cowboy seiner Maxime: KEEP IT PSYCHEDELIC!